This family-friendly Manunda hotel is located near the airport, within 1 mi (2 km) of Rondo Theatre, Centenary Lakes Botanic Gardens, and Red Arrow Walk. Cairns Central Shopping Centre and Cairns Esplanade are also within 3 mi (5 km). 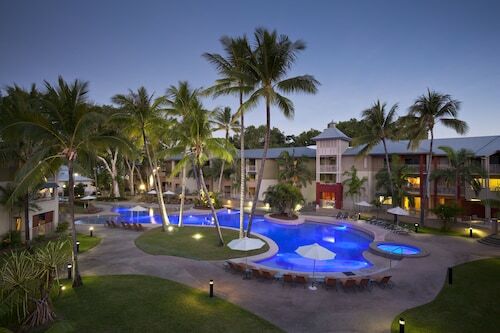 Situated near the airport, this hotel is 1.1 mi (1.7 km) from Cazalys Cairns and within 3 mi (5 km) of Cairns Central Shopping Centre and Cairns Esplanade. Cairns Night Markets is 3 mi (4.9 km) away. Situated in Manunda, this campground is within 2 mi (3 km) of Rondo Theatre, Cairns Central Shopping Centre, and Cairns Esplanade. Cairns Night Markets and Esplanade Lagoon are also within 3 mi (5 km). Cairns Station is 29 minutes by foot. 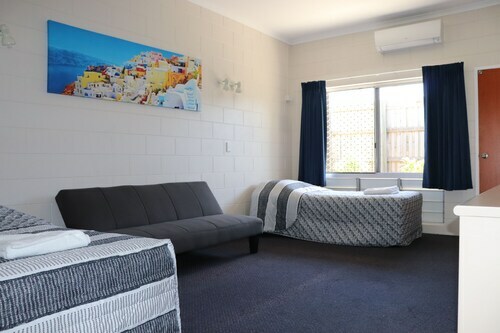 Situated in Manunda, this motel is within 2 mi (3 km) of Cairns Esplanade Charles Street Parkland, Cairns Central Shopping Centre, and Cairns Esplanade. Cairns Night Markets and Esplanade Lagoon are also within 2 mi (3 km). Cairns Station is 27 minutes by foot. 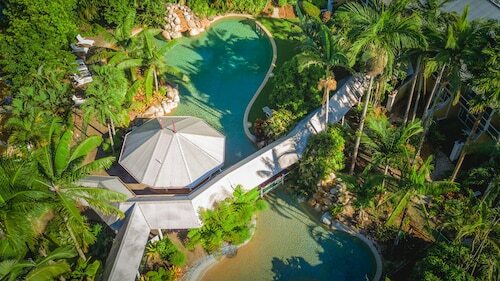 Taking the time to visit Cairns and Northern Beaches? Be sure to stop by and see the Manunda part of town, positioned 8 kilometres southwest of the central business district. Most people visiting Cairns and Northern Beaches are drawn here by Great Barrier Reef. Holidaying in Manunda? There's loads to check out around the town, which includes the Centenary Lakes Botanic Gardens and Mount Whitfield Conservation Park. Get away from the hustle and bustle with an outing to Michaelmas Cay, where the greenery will rapidly replenish waning spirits. Check the rates at the Edge Apartments Cairns and Waters Edge Apartments Cairns to stay close by. If you consider yourself a legitimate art admirer, Cairns Regional Gallery is calling your name. Housing a fantastic selection of thought-provoking creations, you'll be happy you dedicated some time to visit. 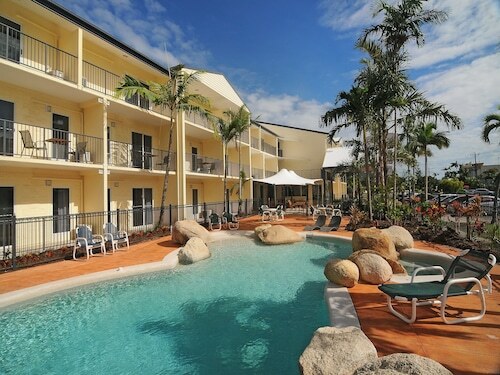 The Vision Apartments and Piermonde Apartments - Cairns are your best bets for this place. Manunda has a decent selection of hotels for most kinds of travellers. 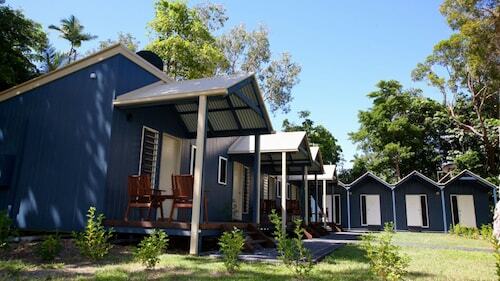 However, if you're planning on spending a little more, it's worth considering the Cairns Colonial Club Resort. Not your best self in the morning? Don't worry, you'll discover a mix of terrific cafes in Manunda. A steaming cup of coffee and pastry at Industry One Cafe is the perfect way to jumpstart your day. If coffee and cake isn't going to be enough, go and take a look at the menu at Rydges Tradewinds. Everyone will find something to their liking at this popular eatery. Isn't it funny that you tend to get thirsty as the sun starts setting? A few well-deserved drinks at Nomads Cairns Backpackers Hostel will be the perfect way to finish off a long and fulfilling day. 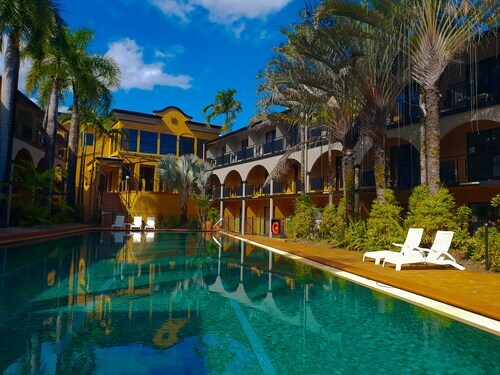 If you and your travelling companion can't find the best Manunda hotel, look into the Manoora hotels guide. Alternatively, the Wotif Westcourt hotels guide can sort you out. Wotif can take you to Cairns and Northern Beaches or thousands of other amazing places, so stop daydreaming and book your escape today! How Much is a Hotel Room in Manunda? Hotels in Manunda start at AU$72 per night. Prices and availability subject to change. Additional terms may apply.